Discussion in 'Edged Tools' started by ljcsov, Apr 28, 2012. It's the lightweight load out! As you can see, orange is my favorite color. Unfortunately, I missed out on the SAK orange farmer. Barry J, Todd Allen, cockeyedhunter and 9 others like this. Stags Crest, Barry J, Todd Allen and 15 others like this. Winterhorse, freebirdfb, big belly jon and 1 other person like this. big belly jon likes this. Winterhorse, big belly jon and gwynn1975 like this. cockeyedhunter, TomJ, Lee C. and 4 others like this. Here is my trio. 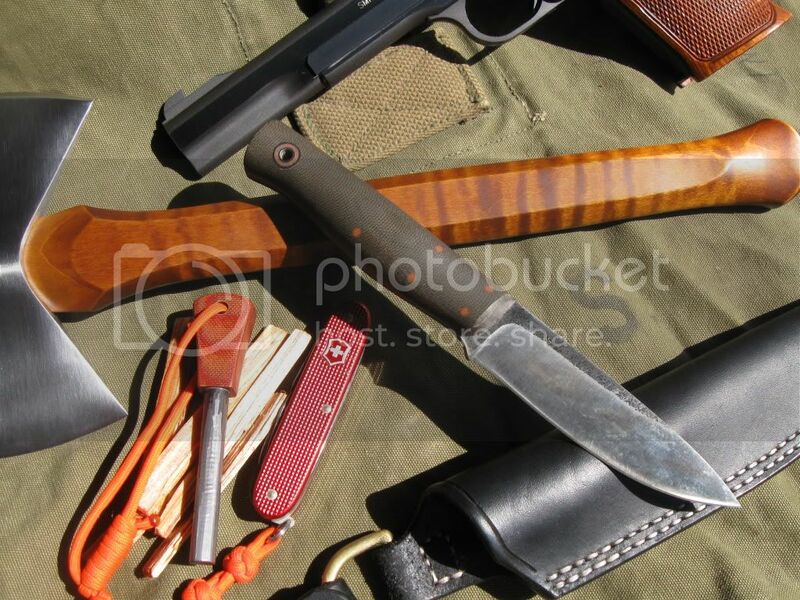 I was using my fathers trapper folder but Id rather put that one away. I have lost two SAK farmers within 6 months of each other so my dozier has taken up the slack wonderfully, will need another SAK sometime soon. 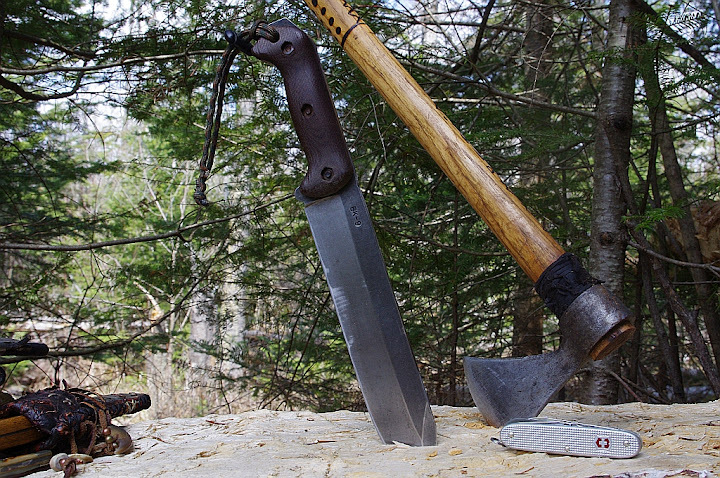 The mora classic and trailhawk are proven tools so no explanation needed, I just keep going back to them over my custom fixed blade and large-ish axe. 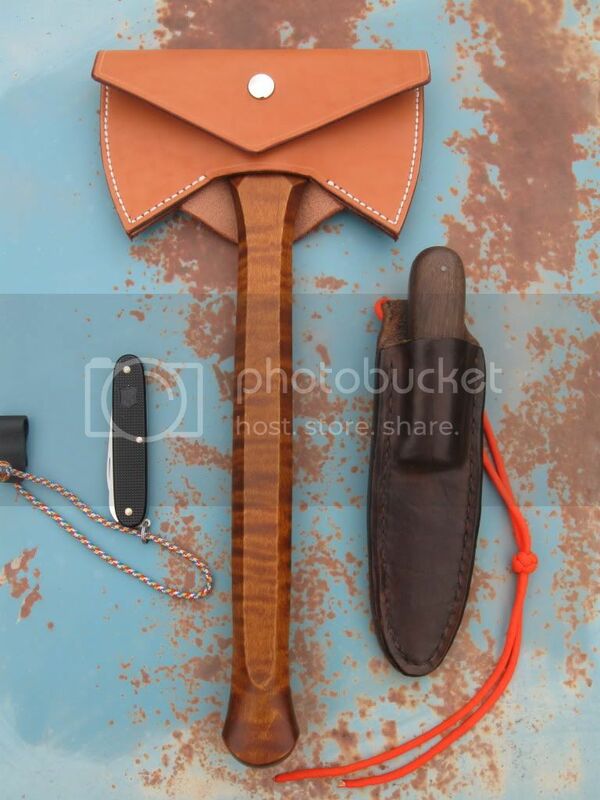 I would love to try one of those fiskars hatchets out, I do have a 26" Fiskars but the larger axes do not suit me well, smaller hatchets/tomahawks are perfect. cockeyedhunter, PauliWalli, TomJ and 8 others like this. Dang, that OH mod is what I have been trying to figure out! It's a beauty! 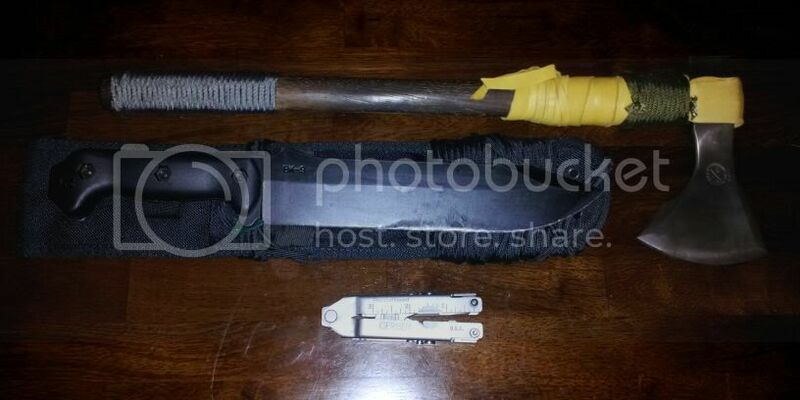 Is that a butcher knife, and if so, what length? I like to change it up a bit but this is my main goto setup. cockeyedhunter, PauliWalli, TomJ and 6 others like this. cockeyedhunter, PauliWalli, deckard313 and 3 others like this. cockeyedhunter, Stags Crest, PauliWalli and 5 others like this. cockeyedhunter, PauliWalli, TomJ and 4 others like this. Great thread. I love the combos. 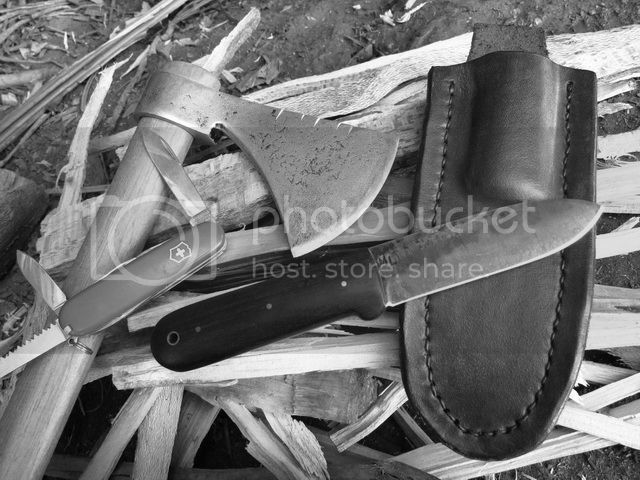 To be honest I rarely use a hatchet. I stink with them so bad its not funny. 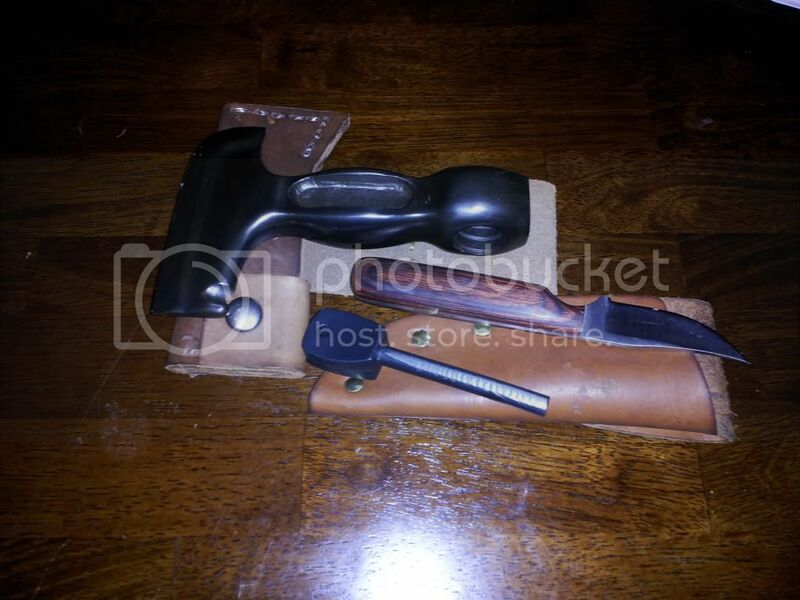 I have an Estwing that usually goes on trips but dont see much use. 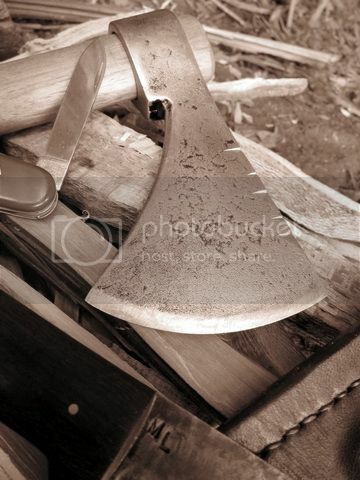 I am learning to use the hatchet myself. 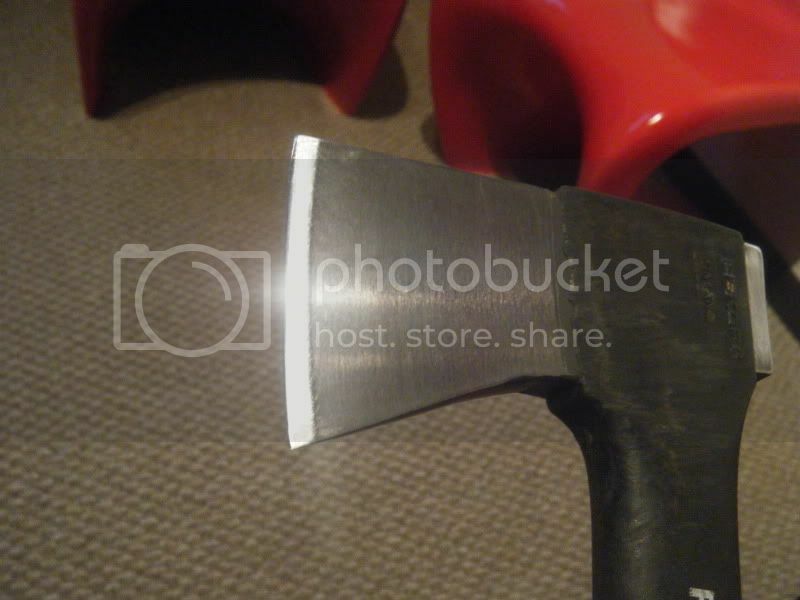 Since the fiskars comes nice and sharp, it works almost like a knife except with a broader edge. 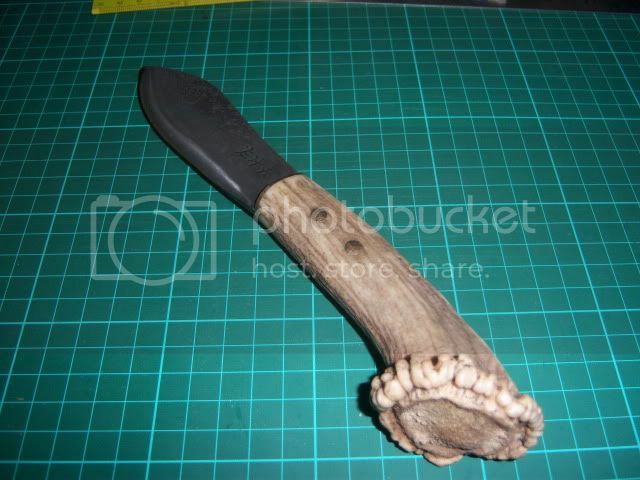 It comes in really handy when carving a spoon and you need to remove large pieces of wood before you are down to the intricate work. So far, I'm really liking it. 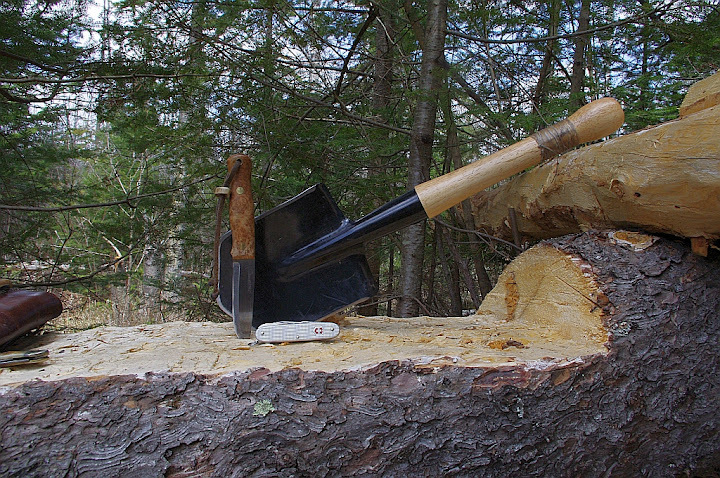 The only unfortunate part of the Fiskars hatchet is that the head is pretty tiny. 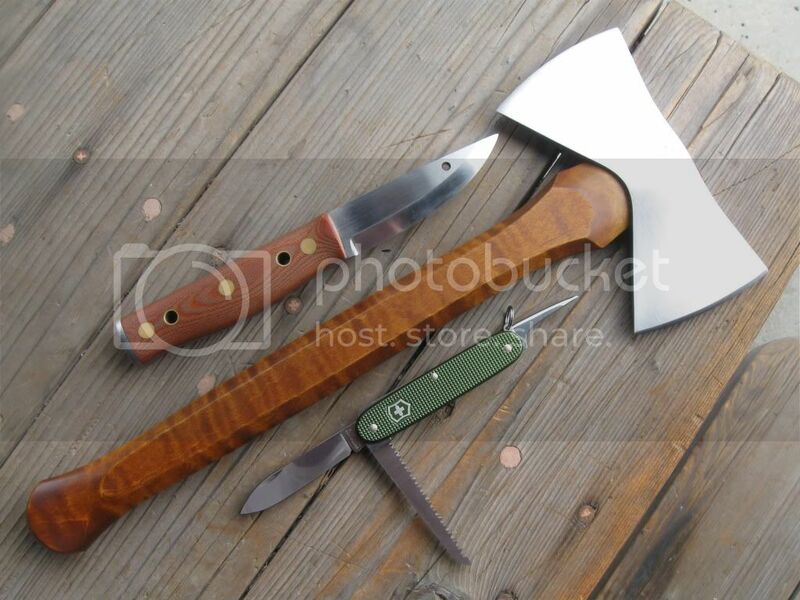 I am debating maybe getting a Wetterlings bushcraft axe or the GFB small forest axe. 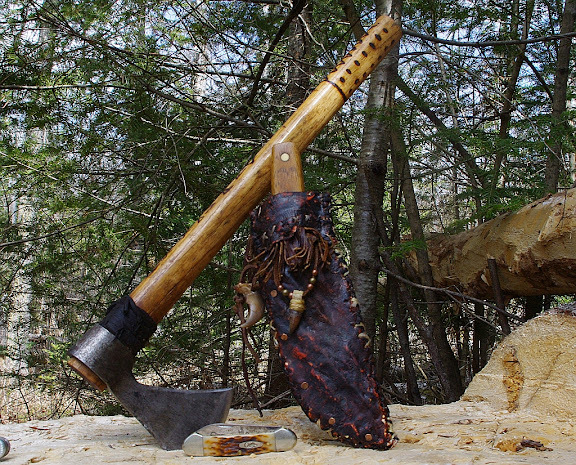 I guess this would be the best move since the other hatchets by the manufacturers are pretty tiny and wouldn't be good for chopping and splitting. The question then becomes which of the two to get. I'd lean toward the much cheaper Wetterlings but everyone loves the GFB! Redneck Bear, freebirdfb and big belly jon like this. cockeyedhunter, PauliWalli, TomJ and 9 others like this. 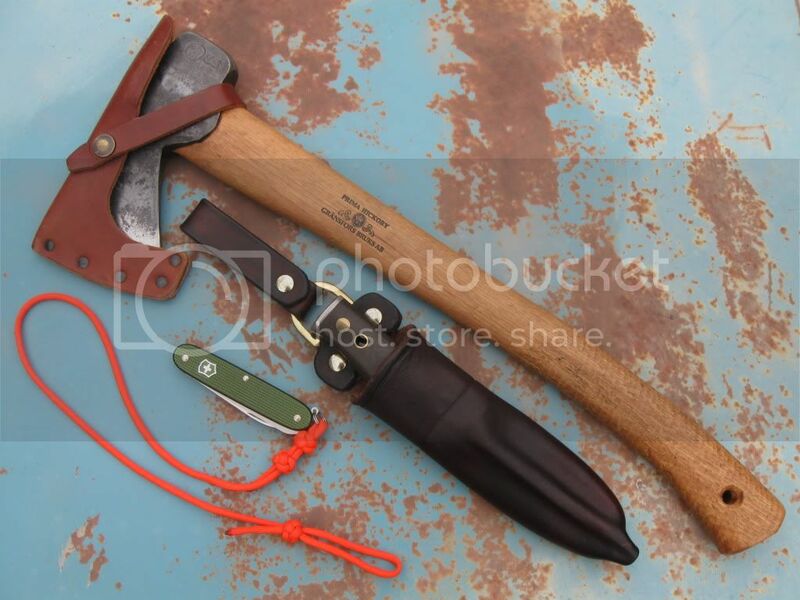 Check out the council tool axes before you pull the trigger on the wetterlings or gb...This axe is on my list, since I do NOT use/need larger axes, this one suits me just like my tomahawk would. 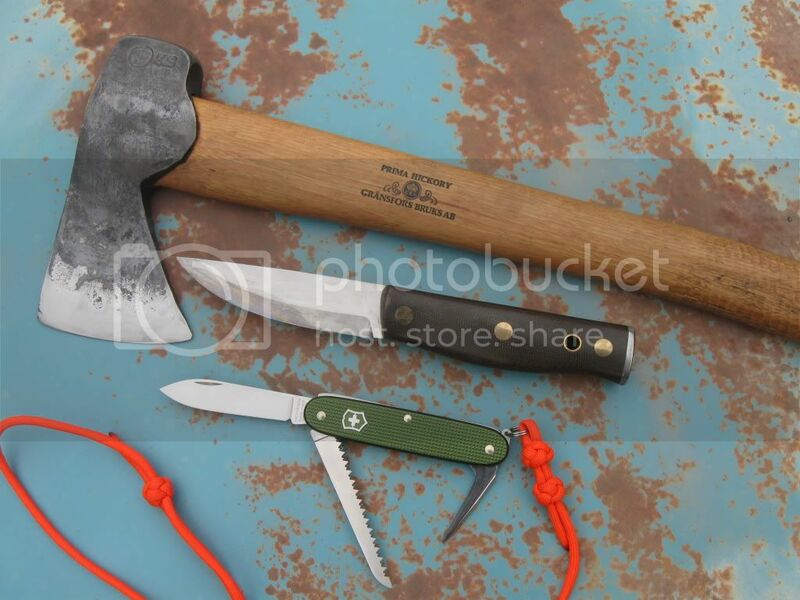 The council tool axes are still made in America, about 30-40$ cheaper than a wetterlings. 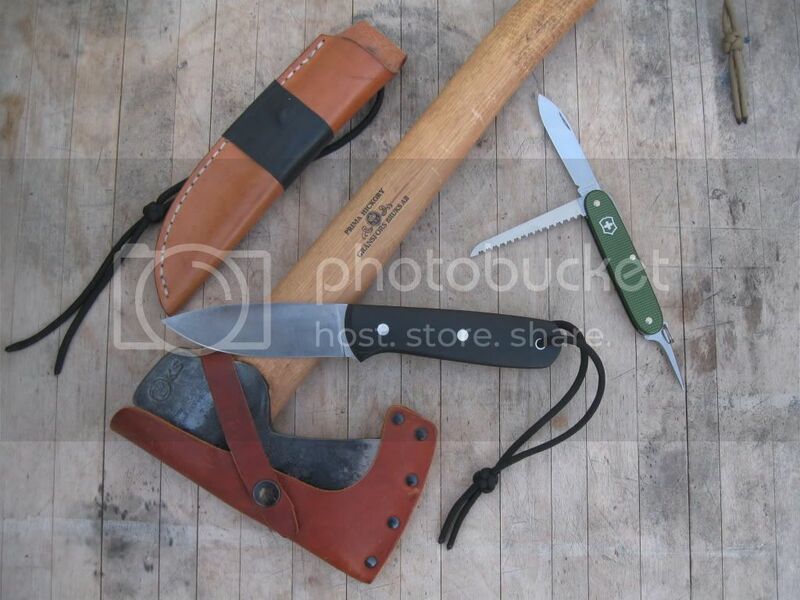 They also have a size close to the wetterlings bushcraft axe. Okay back on topic now sorry guys....great trios by the way. I want a more traditional setup but what I have works just fine for now. Thanks! I like the Snow and Nealley Penobscot bay quite a bit as well. Not sure of the best play to buy these things. 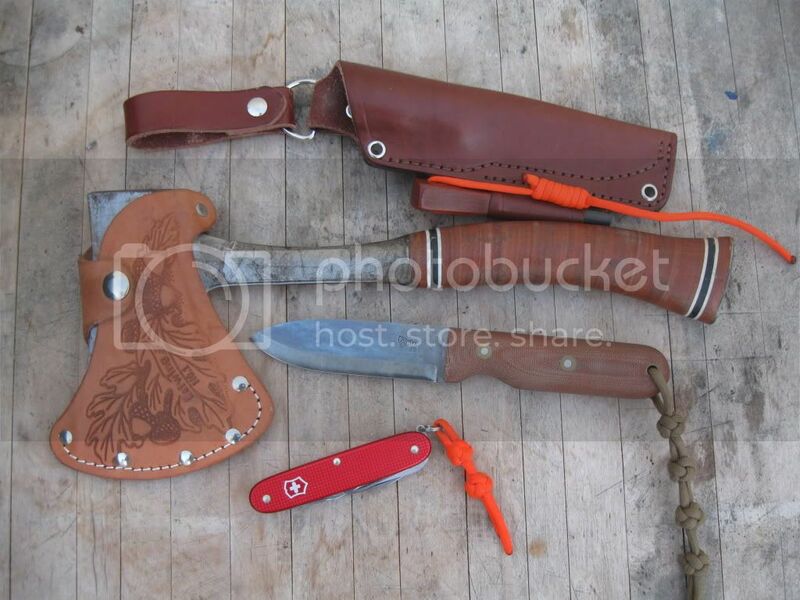 I think the Snows come with a leather sheath which is nice. 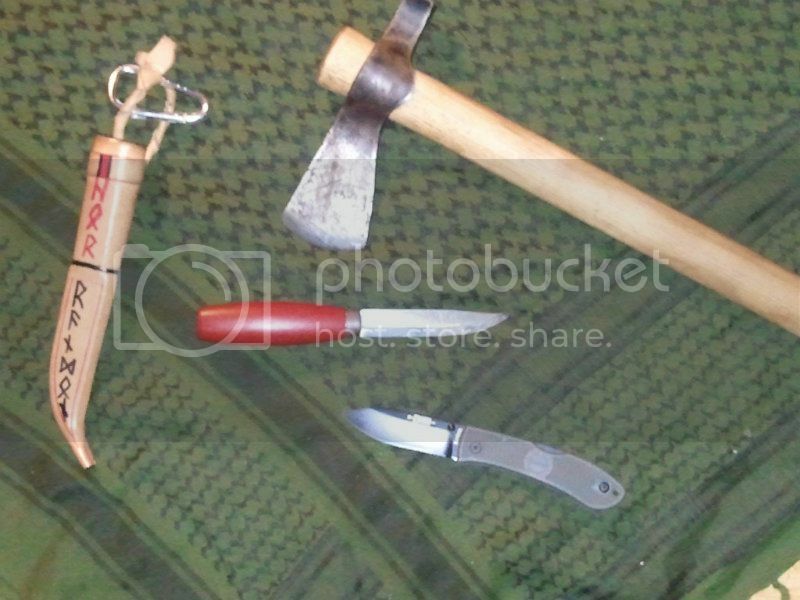 You can buy straight through council tool if that is axe you are wanting. American made as well, seems like a good deal to me. 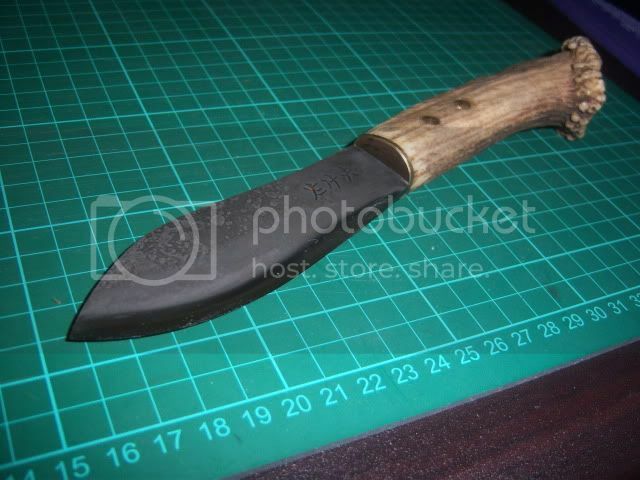 It comes to $52 shipped for the hudson bay pattern with no sheath. 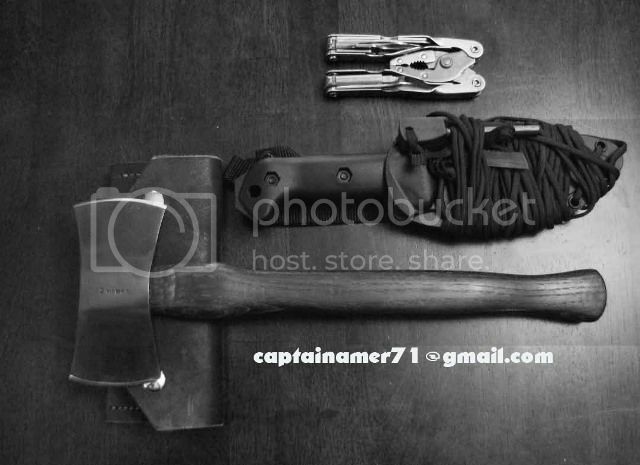 It is about $15 or more depending on the axe added for shipping so keep that in mind. I can not get one for a while but I will be going with council tool for sure. This is my current Nessmuk Trio. Searching for a new multitool. I feel that it is important piece of gear. cockeyedhunter, PauliWalli, TomJ and 3 others like this. 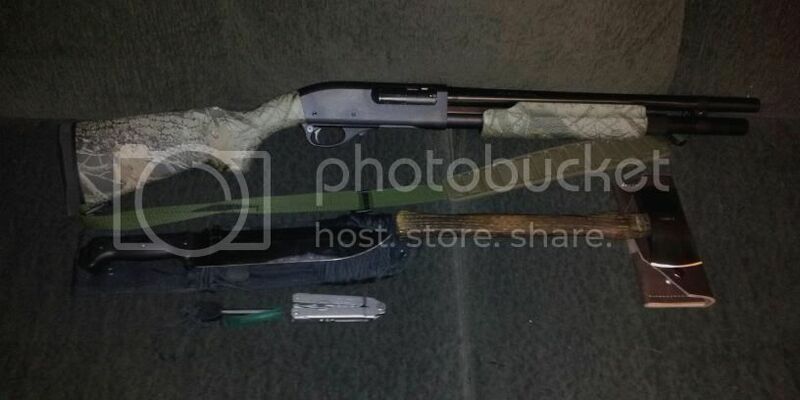 cockeyedhunter, BrassPins, Huckelberryhound22 and 22 others like this. 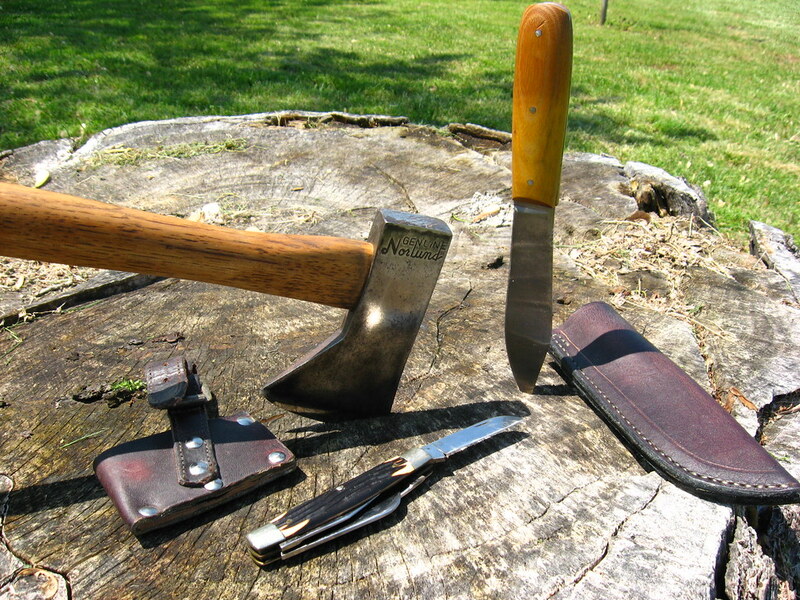 Usually some combination of these tools. It depends on time of year, where I am going and what I intend to do. 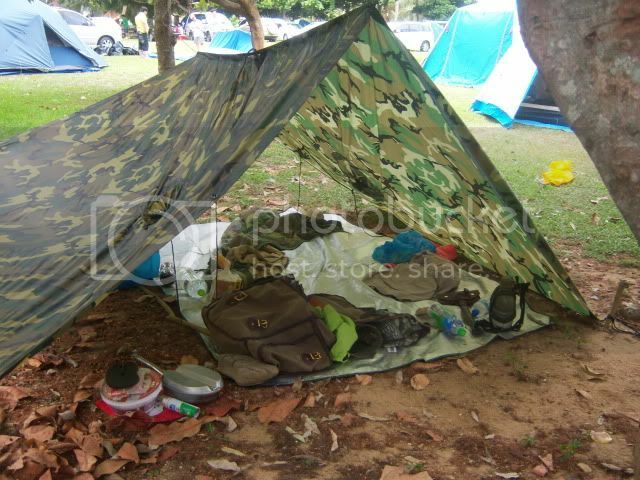 From hanging tree stand & cutting shooting lanes, camping, canoeing, general day in the woods etc. cockeyedhunter, BrassPins, PauliWalli and 17 others like this. Wow. Sargent you have some SAKs that I have never seen before. The silver one looks great there. I wish you could still get the alox in all the different colors. Sargent, deckard313 and big belly jon like this. You guys have totally read my mind. I was going to send out a request for pics of the backup trio, and Trio #3/ I know they're more out there. I wonder what Nessmuk would have thought about a CS trail hawk? You guys have some really cool tools! I'm kind of a noob at this so you'll have to give me a bit of a break on my trio. 1) What does the "CFL" on the head stand for? 2) I'm thinking of wrapping the last inch or so of the handle with para cord since it's a straight shaft and I'd feel a little more comfortable with something there. Does anyone have details or a link on how best to do this? freebirdfb, big belly jon, ArmyMacE and 1 other person like this. If I was doing this up again today I would likely put my Skookum Bush Tool in and my Farmer. 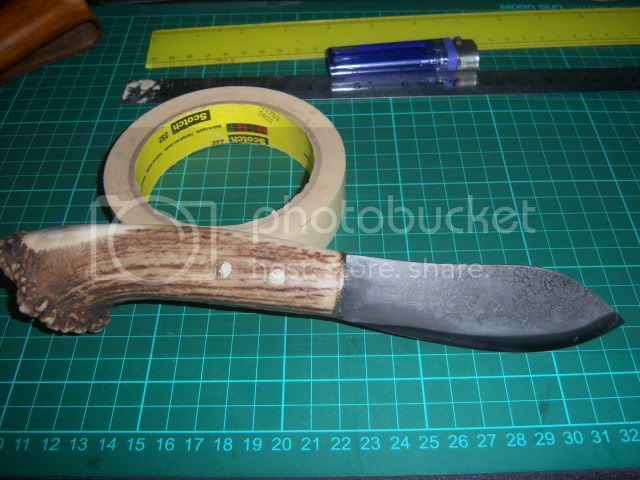 my kit, I ordered a nessmuk knife but not yet received. 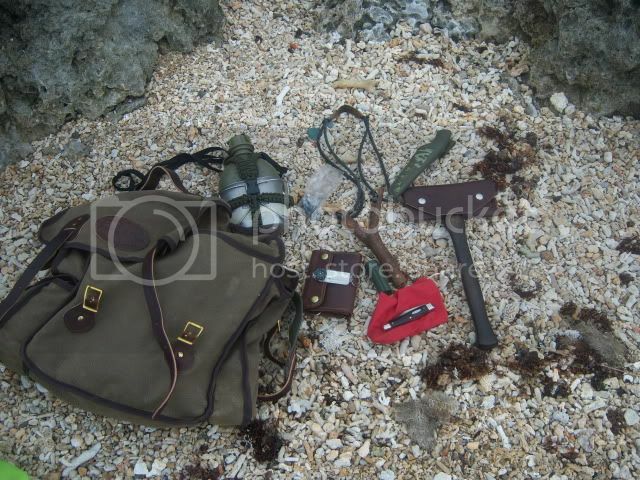 can't carry a gun using a slingshot from E2E Madison Parker also carried 12 lead balls , the leather wallet like thing is a fishing kit somehow as Ditty Bag. cockeyedhunter, freebirdfb, big belly jon and 2 others like this. I am absolutely loving this thread. Saliva is dripping from my dropped jaw at the sight of some of these tools! Hope to post a picture of my trio in the next couple of days. Redneck Bear and AdirondackBadger like this. 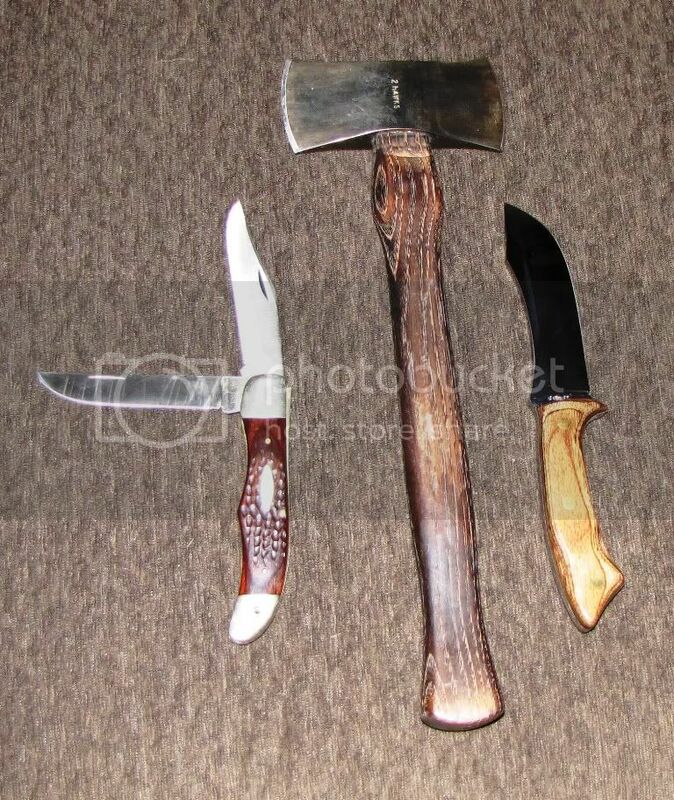 A Turk's Head on the end of that ax may work for you. 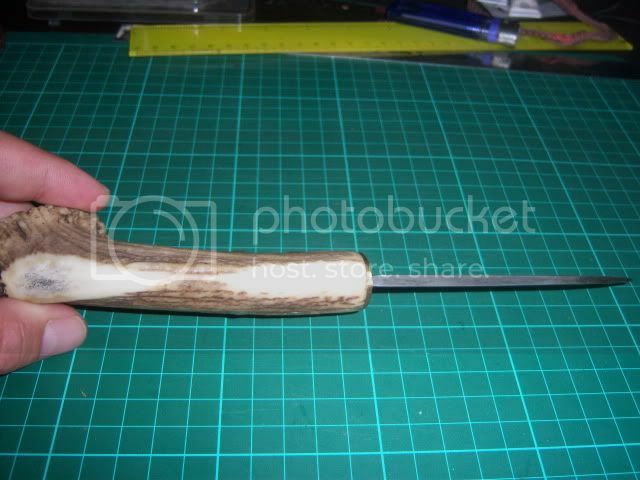 I would tightly whip some waxed nylon on the end of that shaft, then cover it with a leather or cotton Turk's Head. The whipping under the Turk's Head should minimize the tendency for the knot to slip off the shaft. That is one goofy ax shaft. My set up- not as fancy as some, but it gets the job done. 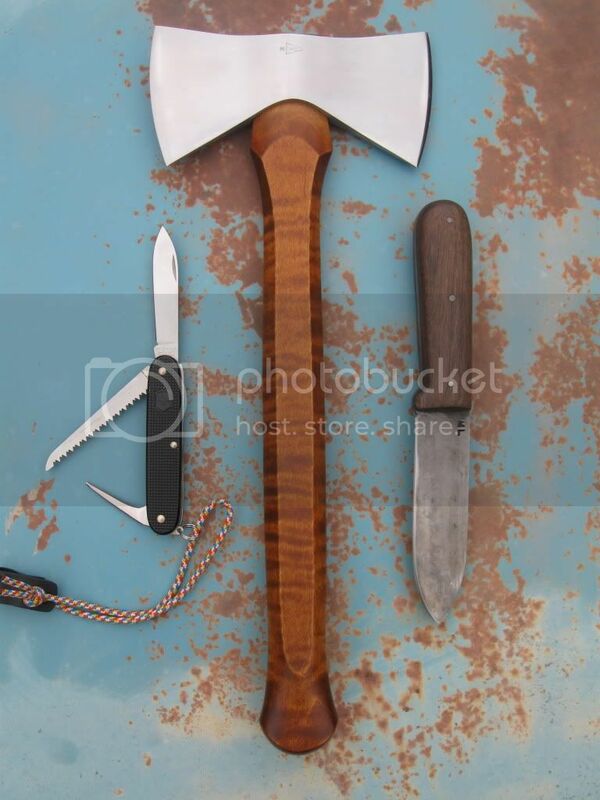 A $16 Truper boy's axe, 26" handle from a ranch store in Oregon that I stripped and refinished myself. Linseed oil on the handle feels SO much better than the varnish it started with. Still need to work on the edge profile a bit, though. 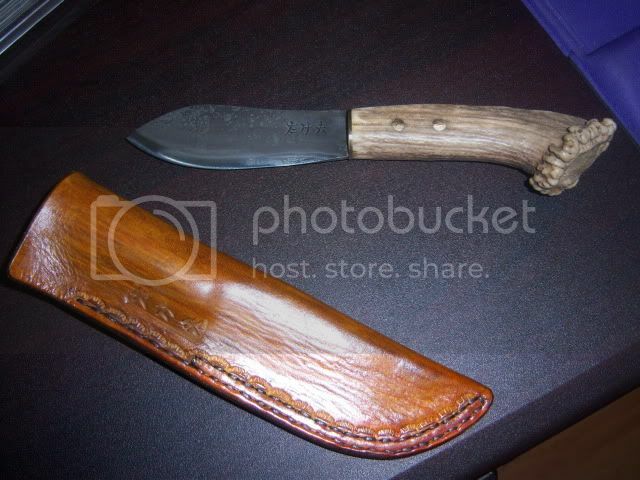 On the left is a Brusletto scout knife I picked up in Norway a few years back. It's my first scandi grind, and I love it. 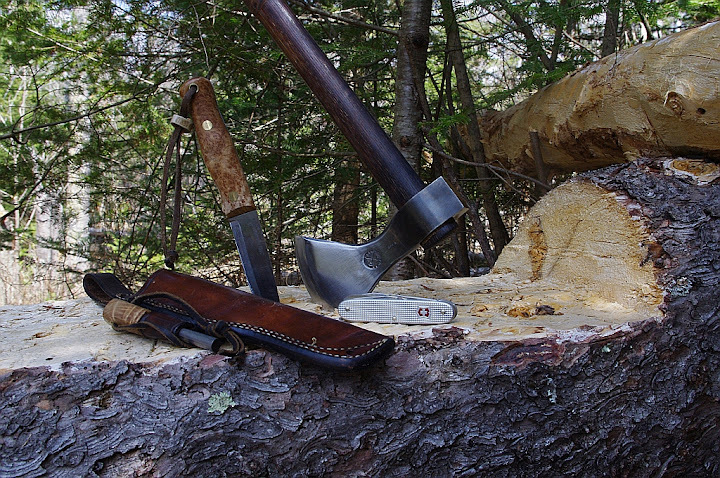 Been carving some wood with it, and a quick stropping after each session keeps it plenty sharp. 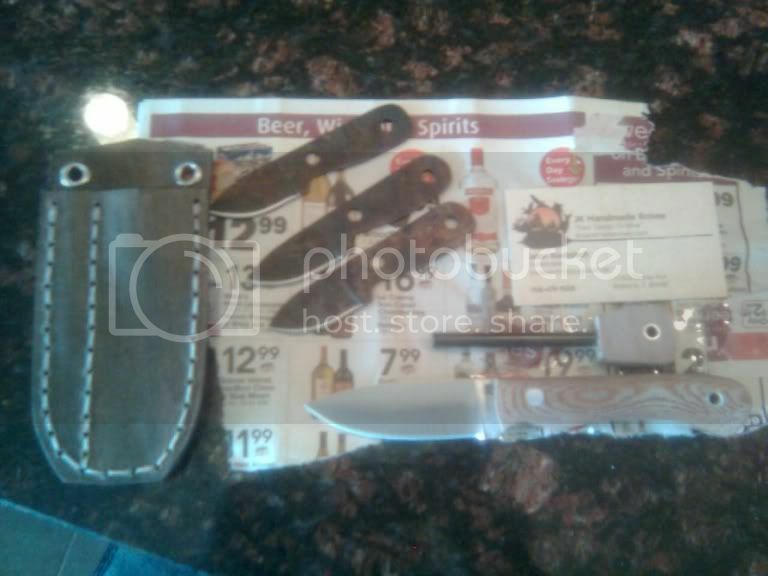 The small Gerber folder is my EDC that I picked up cheap to take with me on extended fieldwork. 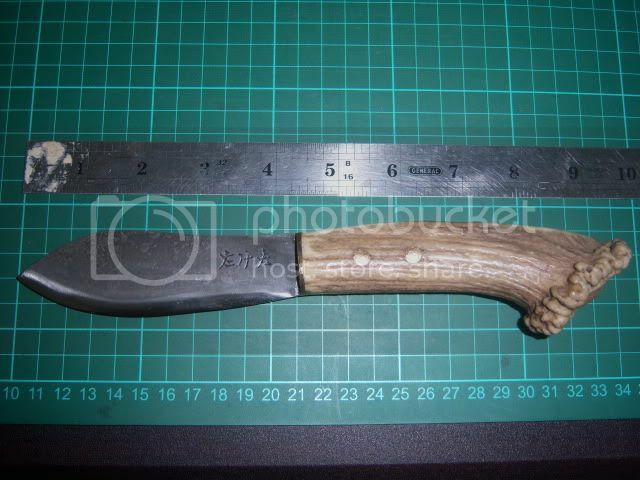 Turns out I can keep it pretty sharp, and I don't mind beating it up for those "I probably shouldn't use a knife for this" tasks. Great thread, fellas! Keep 'em coming! You guys are killing me with those double bits (twohawks i think, right?) 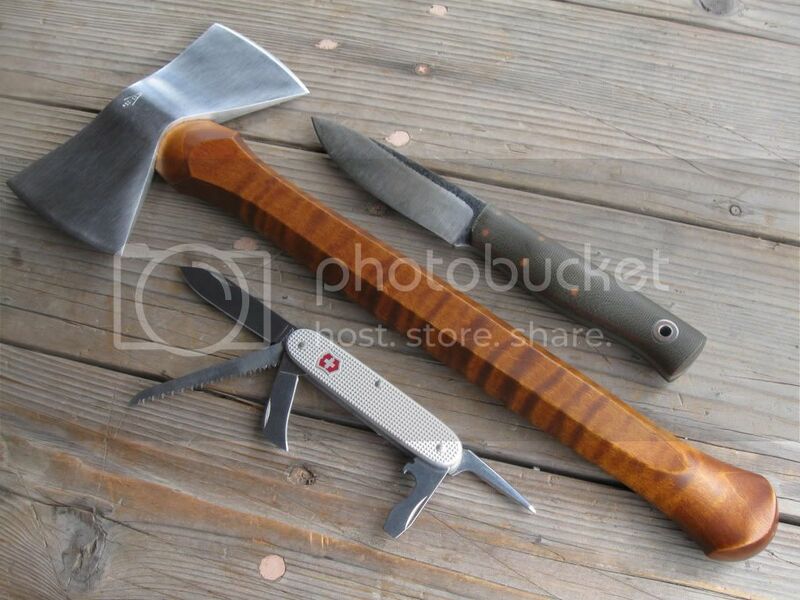 im not an axe guy but those things look sweet..
cockeyedhunter, PauliWalli, trafficjuzz and 7 others like this. 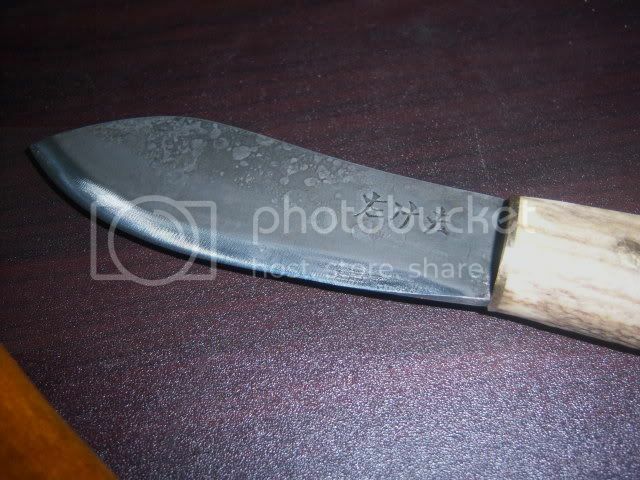 Nessmuk knife by local blade maker - Takeo (bamboo man). cockeyedhunter, PauliWalli, Redneck Bear and 4 others like this. 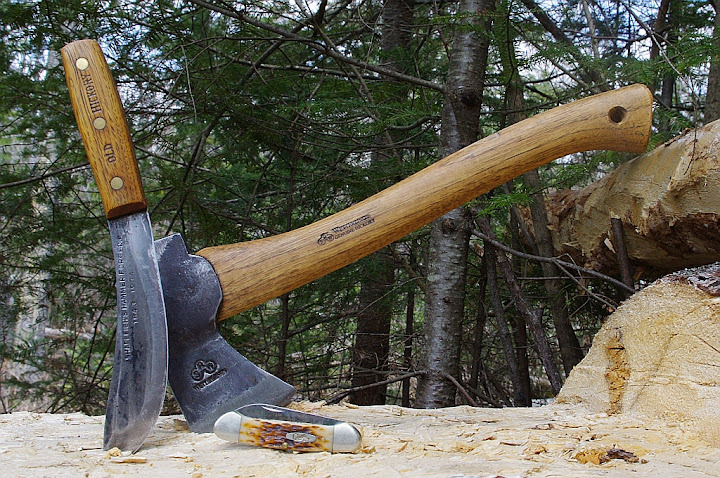 Thank for your review on the 2hawks double bit hatchet! Just realized I don't have any pics of a nessmuck three. 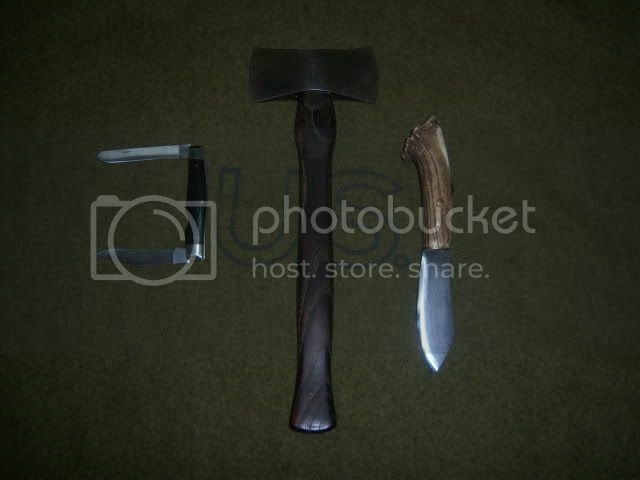 I know the traditional trio is small axe, knife, knife but I just don't have pics of that specific line up. Gonna have to remedy that. 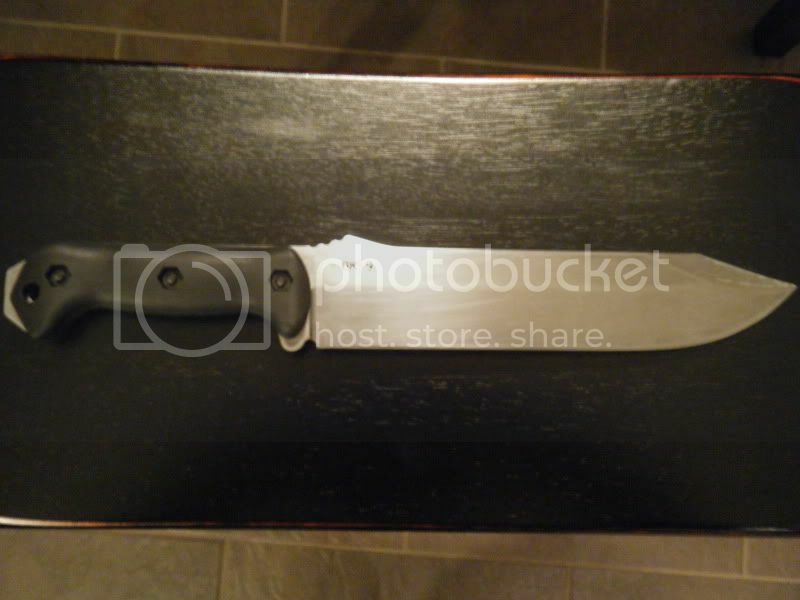 That knife is beautiful! The maker did an awesome job. a friend here asked for more photo of Ness, here you are. cockeyedhunter, BrassPins, PauliWalli and 6 others like this. Right on, thanks for sharing the extra pictures brother. Definitely looks like a more built up version of any nessmuk I have seen, amazing work. Thanks again. Very cool ... probably the most traditional set I've seen! PauliWalli and AdirondackBadger like this. Smallest and largest as many have lots of options just depends on where im going. My pack is always as light as possible. 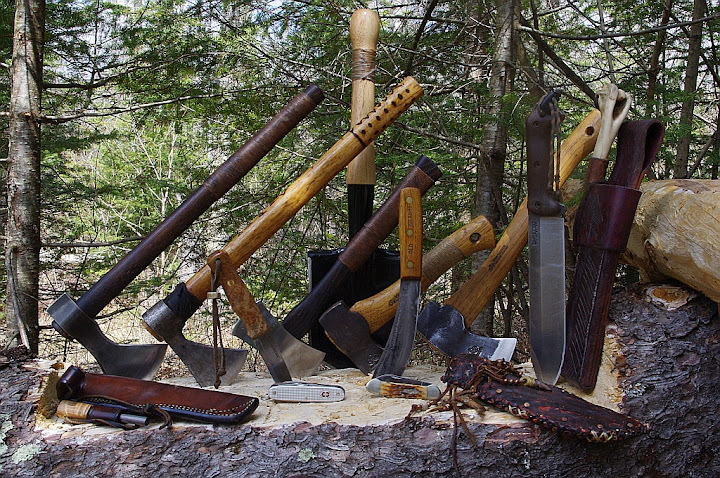 I learned alot the last year after reading "woodcraft and camping"
cockeyedhunter, BrassPins, PauliWalli and 5 others like this. 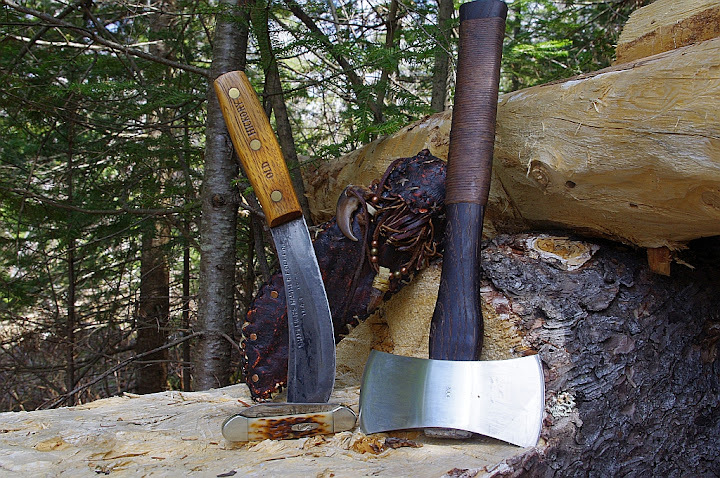 both fixed blade knives were made from Old Hicks. cockeyedhunter, BrassPins, PauliWalli and 9 others like this.